This function offers the exact same options as the function mentioned previously. The only difference is that not all data fields of an address can be formatted at one time, rather only one single data field. 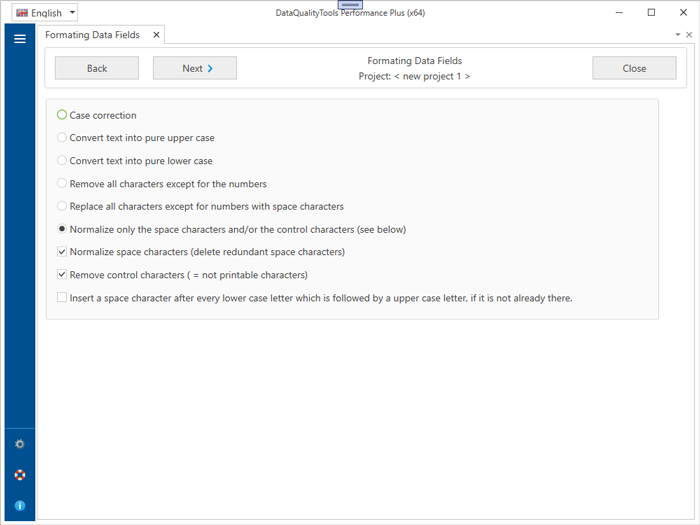 Thus, this function can be used specifically on one single data field.